While choosing an advent calendar in the lead up to Christmas once meant picking between 'real chocolate' or 'advent calendar chocolate,' 2018 is a very different matter. From beauty to biscuits and candles to cats, there's an advent calendar on the market for everyone. Find the one for you with our pick of 2018's best Christmas advent calendars – then visit our Christmas page to discover everything else (we think) you need. The perfect choice for candle obsessives, Yankee Candle's Fold Out Advent Calendar is a great way to sample everything that their festive collection has to offer. With scents including Frosty Gingerbread, Christmas Cookie, The Perfect Tree and Spiced White (to name but a few), there's something to suit all. A one-stop-shop for all things biscuits, Biscuiteers haven't disappointed with this year's advent calendar. Pair their limited edition Biscuiteers Advent Calendar, designed by Susie Watson, with the contents of the Advent 24 Luxe Biscuit Tin for beautifully decorated (and equally delicious) festive biscuits. The best bit? You can keep the fabric calendar and stock up with more wonders from Biscuiteers next year. An advent calendar designed with home lovers in mind, the Poster A Day Advent Calendar from Junique features 24 different posters perfect for decorating your walls (gallery wall, anyone?) or for giving away as individual gifts. Available in five varieties: The Animal Kingdom; Botanical Beauties; Black & White; Motivating Mantras; and A Poster A Day (which is a mix of styles), there's something to suit all tastes. The perfect idea for home lovers, A Poster A Day gives you exactly what it says on the tin in the lead up to Christmas. While the cats or dogs debate is no closer to resolution (the Real Homes team are still arguing about which are better), one thing we know for sure is that Brits are a nation of pet lovers. Enter the Lily's Kitchen Cat and Dog Advent Calendars. We love the novelty of their design and will certainly be stocking up for our furry friends. Know a beauty lover and don't know what to get them for Christmas? Take a look at our (more affordable) Christmas gift guide for beauty lovers. For a more personal option, we love the idea of filling this gorgeous Red House Advent Calendar from Not On The Highstreet with advent gifts that mean something to their recipient: chocolates, written memories, small keepsakes, photographs and IOU vouchers are just a few ideas. If you love the idea of a beauty advent calendar but don't want to fork out the hundreds of pounds that some of them cost, the M&S Beauty and Make-up Advent Calendar is a more affordable alternative. Boasting brands such as L'Occitane, This Works, REN and Nuxe and costing just £35 when you spend £35 at M&S, this advent calendar is a must for beauty addicts. Available from 1st November. Home, beauty and fragrance lovers should get set to bask in the beauty of Diptyque's 2018 advent calendar. Complete with a selection of best selling candles, eau de toilette and body creams, an advent calendar is a great introduction to all that Diptyque has to offer. Pick up your Diptyque advent calendar in early November – and check out our selection of the best Christmas candles. Loved one who can't get enough of stationery, or bit of an organisational obsessive yourself? We know we are, so when we heard that Kikki K – everyone's favourite Swedish stationery brand – were releasing a 25 day calendar comprised of gorgeous gifts, we were beyond excited. 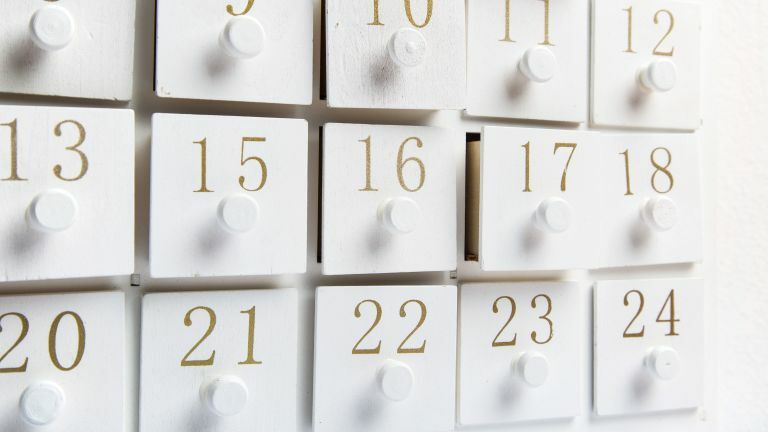 Pick up the Kikki.K Lover's Advent Calendar exclusively at Selfridges. While we've harped on about alternative advent calendars throughout this entire feature, sometimes you just can't beat a good, old fashioned, chocolate calendar. Big fans of Lindt, we can't think of chocolates we'd rather unwrap during the lead up to Christmas. Find the Lindor Advent Calendar online and at Lindt stores across the UK. A sizeable proportion of the advent calendar experience is the packaging and L'Occitane got it completely right this year, producing what is probably (read: definitely) the prettiest calendar on the market. Pick up the Luxury Advent Calendar before they run out and enrich your life with its selection of beautiful bath and body products. If you, or a friend, are fans of all things tea, the Holland & Barrett Tea Advent Calendar is an affordable option that provides the perfect opportunity to try out 24 of the brand's organic teas. From Peppermint and Pineapple to Hibiscus, Oolong and Matcha, you'll find a mix of old favourites and new flavours to try out. An affordable alternative to the popular Lego Advent Calendar, the Blox Advent Calendar from Wilko allows children (and adults) to build festive scenes during the build up to Christmas, making it a great alternative to traditional chocolate calendars. Blox pieces are compatible with the leading brand, meaning, they'll slot of perfectly into a larger collection once Christmas is over. Looking for more Christmas gifts, gift wrap and other inspiration?